Fried king mackerel is an easy dish to make and digest. 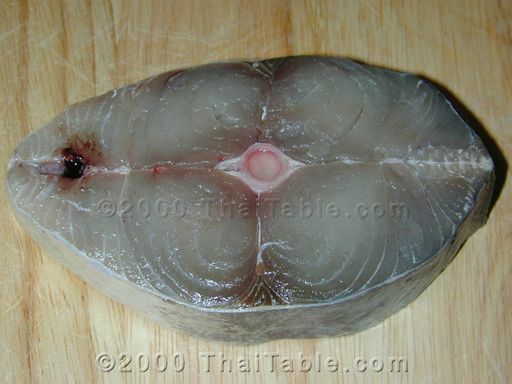 The dish can be served with rice or rice soup. 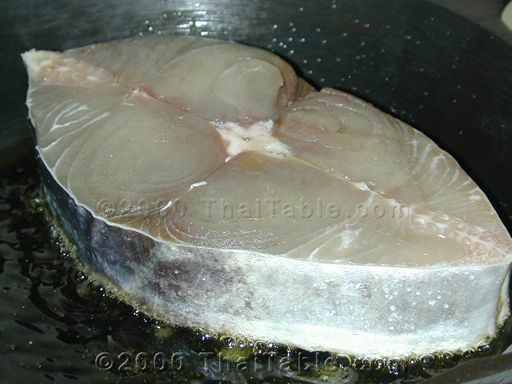 My mom usually soaks a piece of king mackerel in fish sauce first before she pan fries it. I find it splatters too much, so I sprinkle the king mackerel with salt. Pour a tablespoon or two of oil into a small pan over medium or low-medium heat. Pat the king mackerel dry before put it in the pan. Fry both sides until golden brown. Let one side cook throughly before flipping It should take about 10 minutes or so for both sides. This depends on how thick the steak is. Mine is usually an inch or an inch and a half thick. For a beautiful presentation, I finely chop colorful chili peppers and sprinkle them on top. 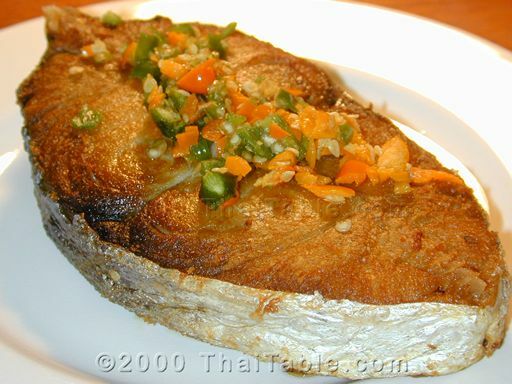 Serve hot with chili fish sauce and rice.